Radical 'exterminism': will the elites launch nuclear war to wipe out the armies of the poor? Science fiction writer Peter Frase, in his book Four Futures, puts forward the "robo-revelation" scenario a step further by introducing the idea of 'exterminism': in the not too distant future, the waves of the unemployed who have lost the latest tools of labor demands, such as strikes, would be a direct threat to the survival of the rich who will control the robots. Then, the owners of the new means of production will consider the mass extermination of the unemployed by techniques that will refer to Hitler's holocaust. Is there any more nightmarish scenario than this? Probably there is. At the point where the elites will construct full self-efficient shelters with hyper-automated robots doing all jobs, there will be no need for 'excessive' human presence. The 1% may decide to launch a nuclear war to get rid of the armies of the poor as fast as possible, in order to prevent the risk of a rebound from the 99%. This is probably the most Dystopian scenario of all. All signs show that current culture of brutal neoliberalism has been designed for such a purpose. While in previous decades, free market fundamentalists were promising a capitalist paradise for the many, the global neoliberal apparatus is transforming the ideology of promised paradise into an ideology of necessities. In the name of growth, competition and stability, wages and pensions must be slaughtered, big companies must get more and more tax-cuts, state control must be eliminated, everything must be privatized. It looks like the 'invisible hand' dreamed by Adam Smith, is rigging the game, buying time, in order to reach the final target: radical extermination of the unnecessary 'load' for the elites. And the uncritical privatization of everything is probably the most useful element of this evil machine that is going to burn the planet. 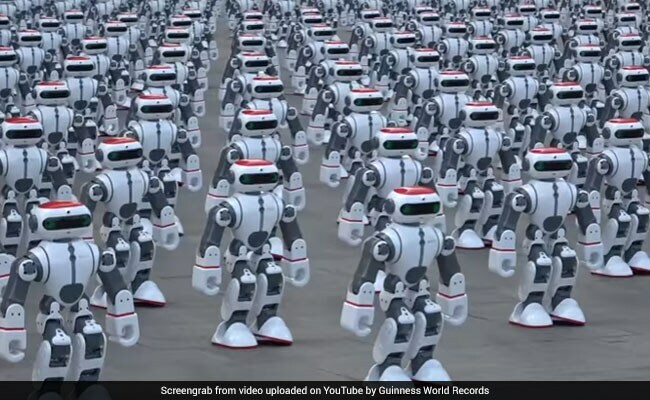 As robots are taking all jobs and the armies of poor will flood even the Western developed countries, the fully privatized advanced technology will become a monopoly for the big corporations. The armies of poor will end up with zero access to it, and therefore, zero power to resist against the designed holocaust. Governments and states have already become servants of the big multinationals. They follow blindly these 'necessities' imposed by the neoliberal regime. How did we ended up in this situation? The answer is that this culture of cruel pragmatism, extreme cynicism and radical individualism, has poisoned the minds of the many, especially in the West. Decades of brainwash by the 'factories' of the neoliberal establishment made people accept pathetically situations like wars, poverty, mass-killings, as something natural that is part of human nature. Despite all protests in the streets, the average person in the West has been trained to compromise with such realities as something inevitable. Western neo-rationalism has been 'equipped' with such a perception. The neoliberal regime now goes further to implement the final stage. As scandals about government interceptions against millions of citizens become a routine, people start getting used to the idea. Terrorist attacks inside the Western urban centers are being used in the context of a fear factory for the purpose of making people accept the militarization of these centers. War and conflict is being rapidly privatized with monstrous corporations - in association with the traditional military-industrial complex - promoting for-profit wars. This last stage involves even the preparation of the masses for a nuclear war! Establishment tools recruit neoliberal “rationalism” to prepare public for such a nightmarish perspective. Besides, inside current environment with the big corporations having enormous power, patents and copyrights fully protected by the states on behalf of private institutions, how do we know that the elites didn't already found a cure for cancer and radioactivity? Or even a cure for all deceases and even aging? With all that power and knowledge in their hands, why would they share it with us? This shows why the dominant culture promotes privatizations and uses the state only to protect private monopolies. And why all the knowledge and technological progress should be carried out by public institutions so that to spread it throughout society. Technology evolves rapidly. Once super-intelligent machines will reach to the point of doing anything without the need for the slightest human interference, it could be a good time for the ruthless elites to push the button of destruction and get rid of the rest of us for good. All they need is someone like Donald Trump and Kim Jong-un to put in front as minimum justification for their actions, right before the day of nuclear Apocalypse.